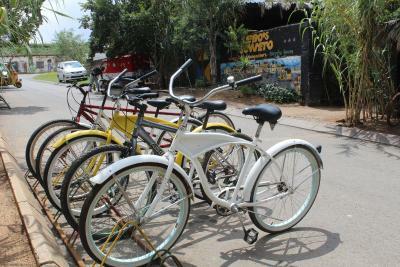 Lock in a great price for Lebo's Soweto Backpackers – rated 8.9 by recent guests! Don't just visit Soweto, live there for a while! 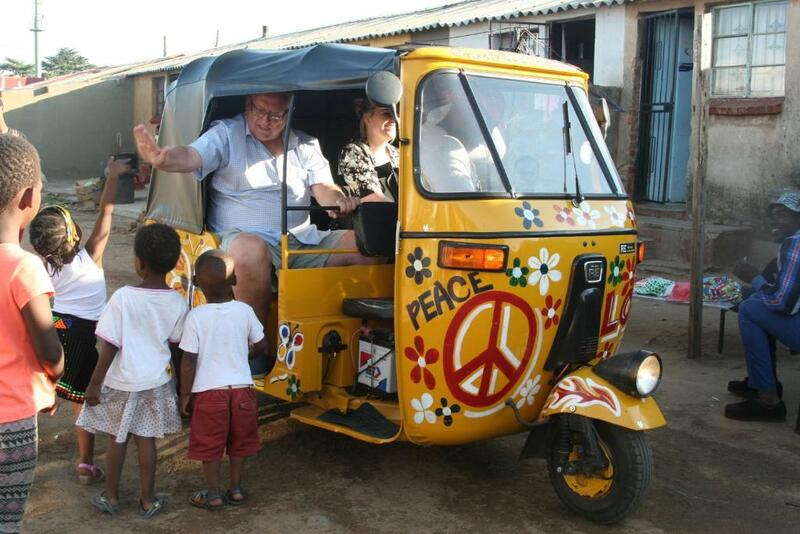 Meet local guides and soweto residents, learn about everyday life and the history of this extraordinary area. Participate in one of their many projects, take a walking tour across orlando or simply do some morning yoga with the local kids in the park. It's safe, calm, and the people are nice and very welcoming. Come as a visitor and leave as a friend. And when you get back, tell your friends about it! It was the experience that I have had in south Africa. Thank you very much! Nice atmosphere, friendly staff and every day a nice campfire. Food is also very good there! The staff were super friendly. The overnight guard, the receptionist, or the cleaning staff, everybody gives you a big smile whenever they see you. The outdoor eating area is huge and the views are decent. This is a special privilege to stay in Soweta in such a special place. The wonderful staff here works with the community, converted the trash heap next door to a community park. They take people around by bike so they can see the conditions, the house of Nelson Mandela and Archbishop Tutu, and the street of Trevor Noah. Stay here - i feel in love with the place! I felt at home the minute i arrived. Food, people, accommodation all perfect. Evenings spent by fireside after delicious dinners. Lovely hostel, nice staff, splended food! Lovely cyclingtour. This is a very nice project going on in Soweto! Staff is super nice, food is delicious and rooms are comfortable. This is a must if you’re in Jo’burg to get to know all sides of the city. Friendliness of the staff, accommodation, food that is prepared on fire outside, outdoor restaurant. The fact that Lebo's is more like a family rather than just a tourist. Everybody eat together. Food is excellent. The staff helped me upgrade from dormitory rooms to a twin room. The twin room was great, very clean and spacious. 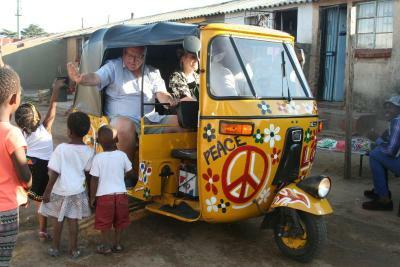 Lebo's Soweto Backpackers is located in Pimville, 5 miles from Walter Sisulu Square. The property is around 3.2 miles from Orlando Towers, 4.2 miles from Regina Mundi Church and a few steps from Soweto Bicycle Tours. Both private parking and free WiFi are available at this property. Lesedi Clinic is 4.1 miles from the hostel. The nearest airport is O.R. Tambo International Airport, 25 miles from the property. This property also has one of the top-rated locations in Pimville! Guests are happier about it compared to other properties in the area. This property is also rated for the best value in Pimville! Guests are getting more for their money when compared to other properties in this city. When would you like to stay at Lebo's Soweto Backpackers? House Rules Lebo's Soweto Backpackers takes special requests – add in the next step! All children under 12 years are charged ZAR 100 per night for extra beds. Any additional older children or adults are charged ZAR 100 per night for extra beds. Lebo&#39;s Soweto Backpackers accepts these cards and reserves the right to temporarily hold an amount prior to arrival. Lebo's Soweto Backpackers accepts these cards and reserves the right to temporarily hold an amount prior to arrival. I highly recommend. Everything was excellent. Nothing in the property. Everything is up to standard. If visitors can monitor the time they take showers, they waste lots of water with long unnecessary 30 minutes showers. This is not just a hop-on-hop-off tour. You should take some time there.